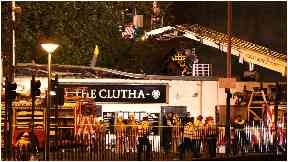 Clutha: A police helicopter crashed. An air accident investigator has lamented a lack of evidence available from a police helicopter which crashed on to the roof of a pub, killing ten people. Peter Wivell, a senior inspector at the Air Accidents Investigation Branch (AAIB), told a fatal accident inquiry it is "frustrating for everyone" that some questions cannot be answered because of the available evidence. 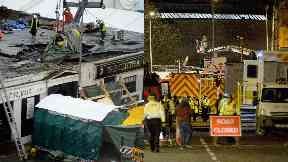 The inquiry heard the helicopter did not have a flight recorder fitted. Mr Wivell reiterated calls made by the AAIB for more aircraft, both old and new, to be fitted with wider recording equipment. The recommendations would allow future investigations access to flight information, data on board and visual displays. Emergency: The helicopter did not have a flight recorder. Replying to a question from Sean Smith QC, for the Crown, Mr Wivell said there "was a lack of evidence to answer off". He said: "There are questions we can't answer, which is frustrating for everyone." Mr Wivell added: "If we had had a picture of the display panels, we would be much better positioned to understand events. "Helicopters are not required to have audio or image recordings, therefore my understanding is there is a push to get some data on these recorded flights." Donald Findlay QC, representing the family of Robert Jenkins who was one of the victims in the pub, said: "Friends and family will be concerned by the comments you made earlier about a lack of information. 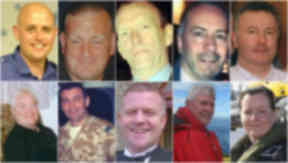 Victims: Ten people were killed. "Is that a correct statement?" Mr Findlay also made reference to the A380 plane - which began its first service from Glasgow on Tuesday evening - and if it would be fitted with similar equipment. The investigator replied it would have flight and data recorders but could not say about a visual recorder. When asked by Mr Findlay if visual recorders are something of the future, Mr Wivell replied they are "becoming the present" but also said they had been "historically resisted". More than 100 people were at the Clutha Vaults pub when the helicopter, returning to its base on the banks of the River Clyde, crashed through the roof. The inquiry, before Sheriff Craig Turnbull, continues at Hampden Park.